A small culturally mixed community living an apartment building in the center of Rome is thrown into disarray when one of the neighbors is murdered. An investigation ensues and as each of the victim's neighbors is questioned, the reader is offered an all-access pass into the most colorful neighborhood in contemporary Rome. Each character takes his or her turn center-stage, "giving evidence," recounting his or her story—the dramas of emigration, the daily equivocations of immigration, the fears and misunderstandings of a life spent on society's margins, abused by mainstream culture's fears and indifference, preconceptions and insensitivity. What emerges is a touching story that is common to us all, whether we live in Rome or in Los Angeles. 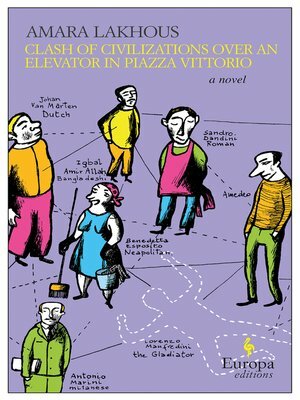 This novel is animated by a style that is as colorful as the neighborhood it describes and is characterized by seemingly effortless equipoise that borrows from the cinematic tradition of the commedia all'italiana, as exemplified by directors such as Federico Fellini and Mario Monicelli.